For the lemon cheesecake lovers out there, here’s quick way to get your fix. These truffles are a cute and compact version of that much-loved classic dessert. 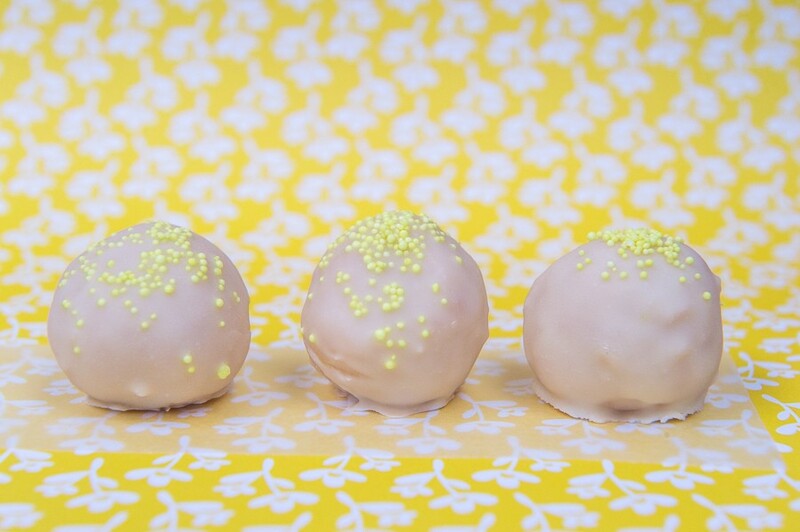 You may have seen my 3 Ingredient Strawberry Cheesecake Truffles post a few weeks ago, and these are just as easy and tasty but with a zesty, lemon tang. There are two ways to make these, depending on how much of a lemon fan you are. 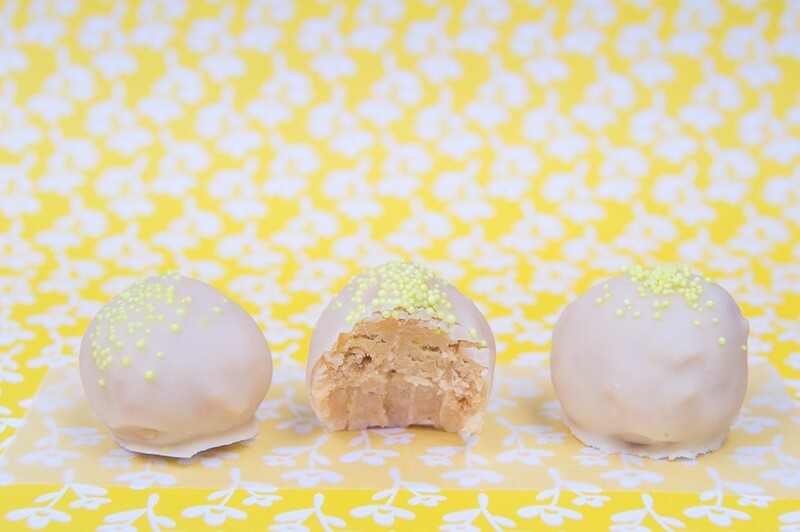 Using Bakers Lemon Creams will give you a really strong lemon flavour. Personally I found it a little too strong, so I came up with an alternative recipe where you can adjust the level of citrus flavour to your liking. Either way, I think you’ll find them to be both easy to make and easy to eat! PS. If you love lemon cheesecake, give this Lemon and Ginger Cheesecake a try! Blitz the biscuits in a food processor until you have quite fine crumbs. Add the lemon zest, lemon juice (if using) and softened cream cheese and process again until combined. Melt the white chocolate over a double boiler. Using a fork, dip each truffle into the chocolate and allow the excess to drip off. Place on a wire cooling rack above a tray and decorate with sprinkles before the chocolate sets.